The word "hero" is a subjective term as its reflection of who inspires us or who we feel has benefitted the common good in a way we can appreciate. Andrew WK is a hero not only for his dedication to worldwide happiness through the power of positive partying but for the fact that he has saved humanity in countless ways. Throughout mankind's blood soaked, follied and naive history Mr. WK has not only been capable but willing to save human history on several occasions. This particular story takes place in 1939 with the World on the cusp of tearing itself asunder with warfare and unrest. Germany invaded Poland triggering the final stages of the cruel Rube Goldberg machine enacting the planet's most violent battle in history. During this time, Andrew WK was mostly dormant in a state of transcendental meditation deep within the Earth's inner core. It was rumored that the 9806°F heat and the abundance of iron-nickel alloy infused his skeletal system with the essential durability to head bang at an astounding ferocity and at infinite intervals. Andrew WK knew not to interfere with the inherent flaws of mankind. People slaughtering each other was a cyclical misfortune of our violent history. It was the exponential production of steel during that period that concerned Andrew. The United States produced close to 50 million metric tons of steel alone causing a nationwide shortage and a worldwide movement for scrap drives where people would donate any metal they had to feed the lustful machine to produce weapons. The weight of the weapons, tanks, aircrafts, produced around the world placed a fractional but profound strain on the Earth's rotation. 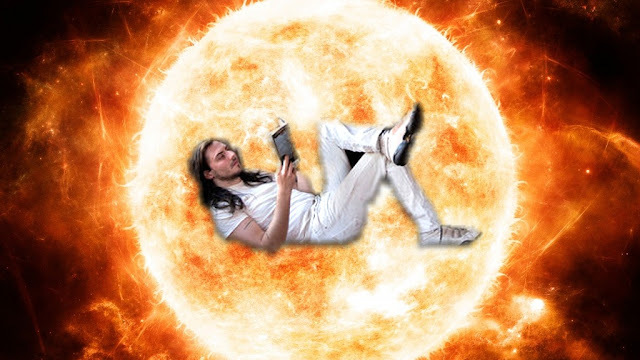 Resting in the Earth's inner-core, Andrew WK noticed the rotation of the planet slow from it's casual pace of 1070/mph down to 1069/mph. It was something Andrew never thought he'd see in the planet's lifetime and he knew he had to act. The days were hovering around 23 hours 56 minutes and 2 seconds (2 seconds shorter than normal). It was this that woke Andrew up from his subconscious and lead him to roam the surface of the planet once again. Andrew WK materialized on the Earth's surface to witness the deaths of millions of human beings in the name of Nationalism and it was only for a moment that he pondered the fate of these silly people slaughtering each other. He knew what needed to be done. Calling upon one of his oldest and dearest friend Santa Claus via mental telepathy he rode his swift sleigh to Santa's North Pole home. Andrew stood at what scientist called "Magnetic North" and embraced the cold clean air and the muted landscape and began to party. This wasn't a normal party that we are accustomed to seeing on youtube or on Lobster Lobby this was a party to save the planet. 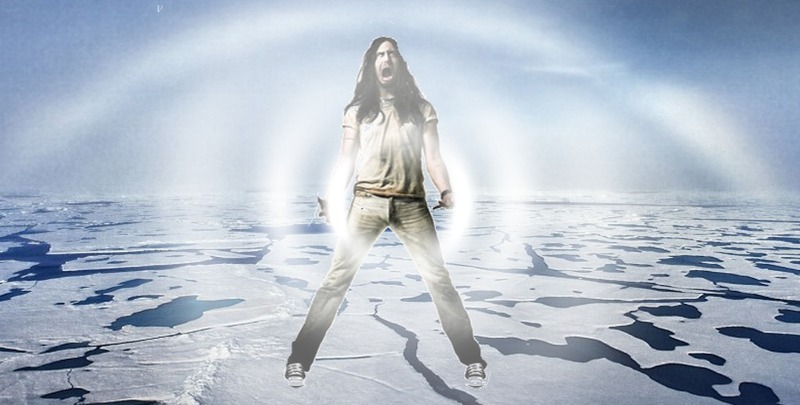 Andrew WK partied for an hour reaching a velocity of 300,000 km/s urging the Earth in the right direction. His partying moved the Earth's massive 5.9736×1024kg corpse back to the correct speed thus saving humanity from an icy death. Andrew WK, saving Earth again, enjoyed a nice meal of Taco and a few hours of casual conversation with Santa about domestic cats. He went back into transcendental meditation in the Earth's inner core letting the heat recharge his vital operations. It wasn't the first time Andrew has saved mankind and it probably won't be the last but the next time you think of the word hero keep in mind there is someone always keeping his compassionate eye on all of us and he is willing to do whatever it takes to keep us safe.